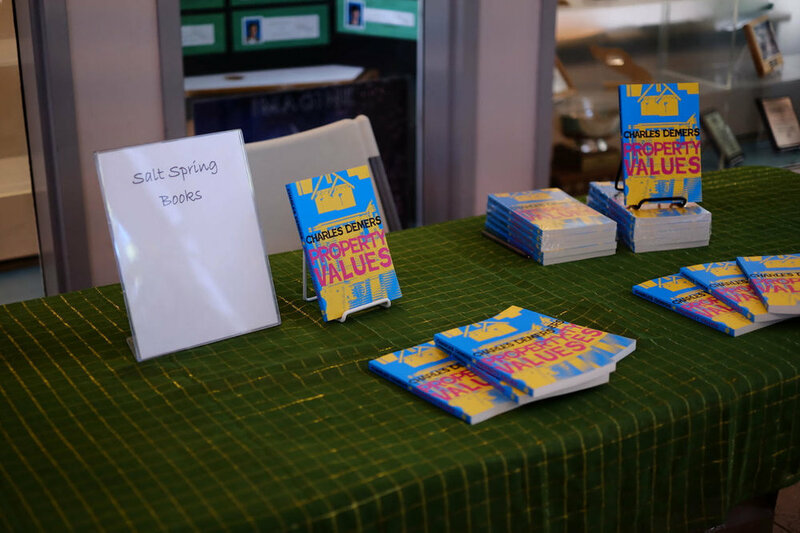 For the final event of the 2017-18 school year, the Salt Spring Forum partnered with the GISS Student Council to present Charlie Demers, a Vancouver-based comedian, author, playwright and voice actor. Demers is a regular on CBC Radio's The Debaters and a star of the Emmy-winning children's animated Netflix program Beat Bugs. His recent comedy album Fatherland was nominated for a Juno. Demers’s most recently published novel is Property Values, a crime satire that uses comedy to explore themes of urban gentrification, gang violence and the challenges of purchasing a new home in the modern world. The morning discussion, moderated by GISS drama teacher Jason Donaldson, explored the important role of comedy in society. Both high school students and members of the general public attended. 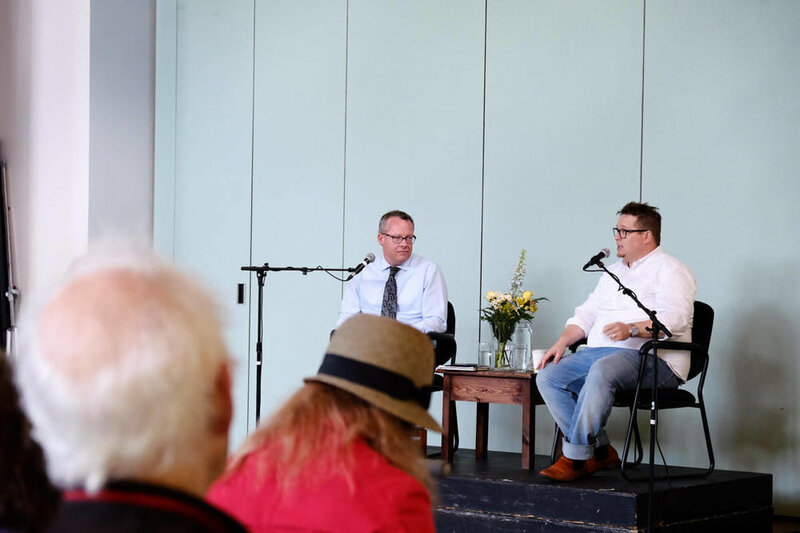 This event was dedicated to the memory of Arthur Black, who, in addition to being a treasured Salt Spring community member, was a humourist, author and former CBC Radio host. 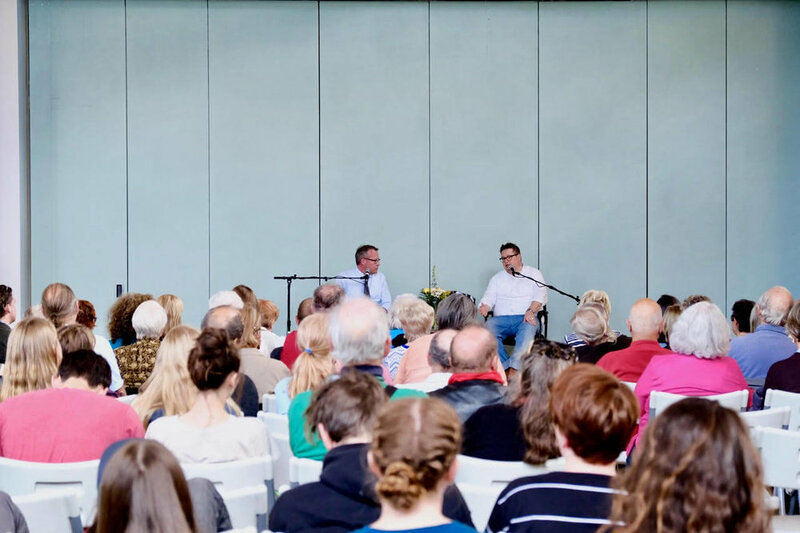 The event was full of laughs – and heartfelt moments too. It was a great way to begin the week and end the school year! Newer PostCongratulations to Forum Youth Graduates!